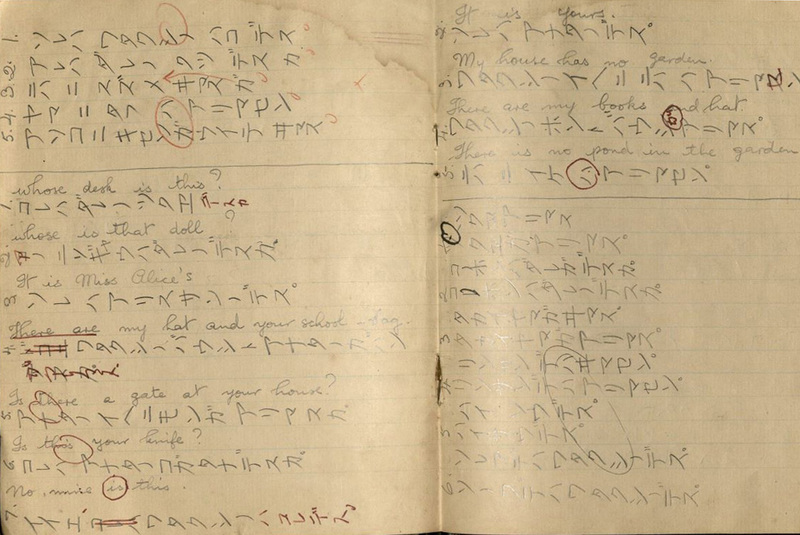 Some Peek in the Stacks blog posts are authored by CSUN students who work in Special Collections and Archives in the Oviatt Library. 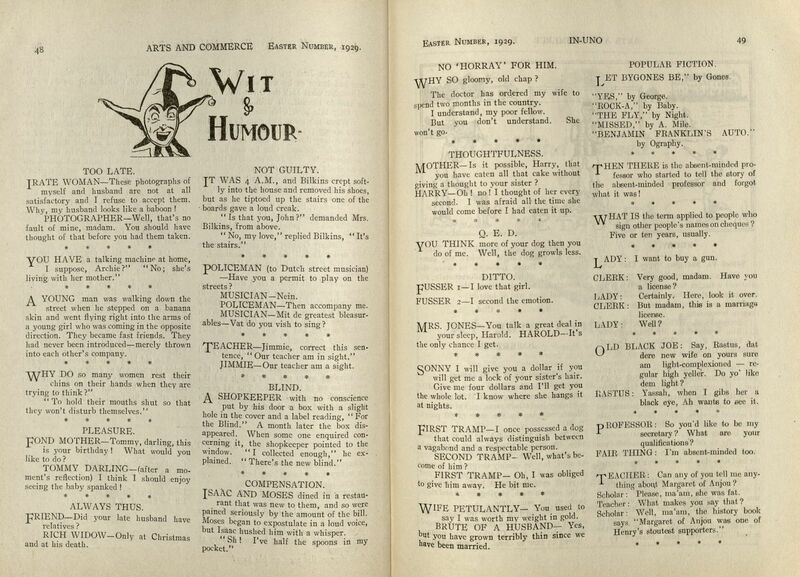 This week's post was written by student assistant, Inderdeep (Vinny) Kaur. Inderdeep is a freshman whose interests include writing and drawing. The Old China Hands Archives holds collections related to the experiences of foreigners living in China prior to 1949. Many Old China Hands lived with their families in China, giving rise to private schools that educated their children. Many Old China Hands who attended the Thomas Hanbury School for Girls and Thomas Hanbury School for Boys in Shanghai, China remember their years at both institutions fondly. The Oviatt Library’s Old China Hands Archives includes an assortment of items from the Thomas Hanbury Schools, including yearbooks, diplomas, report cards, workbooks, school magazines, and photographs contained in the Alex D. Kennedy Collection, 1923-2002, the Zoya Shlakis Collection, 1902-2010, the Sydney and Ruth Jonah Collection, circa 1890-circa 1990, and the Mario J. Machado Collection, 1936-2013. 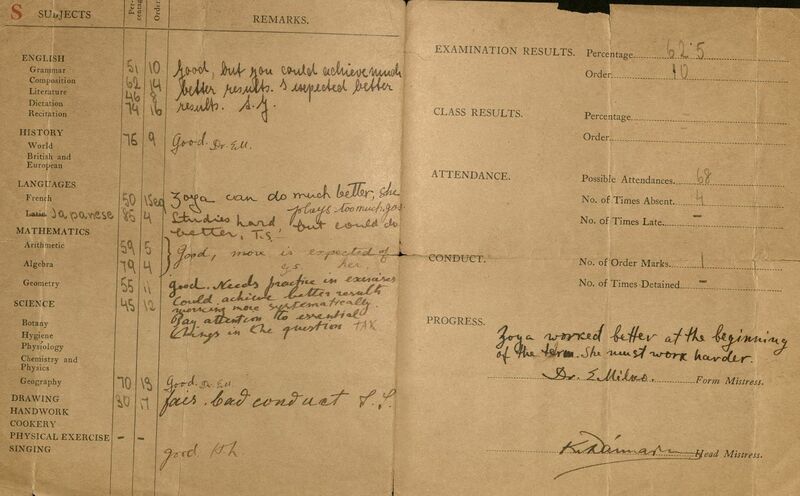 Although the materials are scattered across different collections, together they help us understand the experiences of growing up and attending school in Shanghai during the early 20th century. At the Thomas Hanbury Schools, students experienced a vast and exciting community of peers, faculty, and staff. 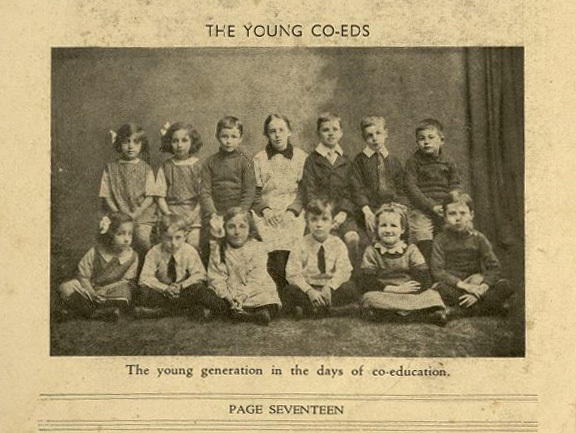 In addition to formal classroom instruction, the school provided students with opportunities to join in extracurricular activities, such as clubs, athletics, and other activities. 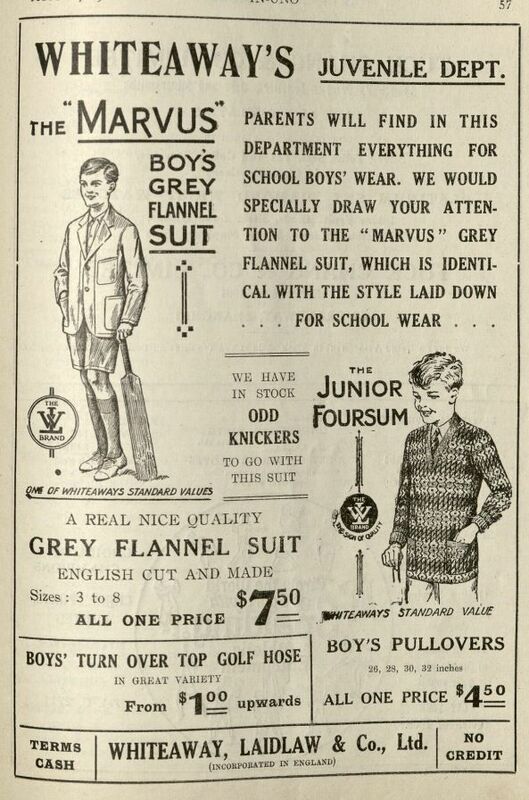 Sports and athletic competitions in particular were emphasized at the Thomas Hanbury Schools. 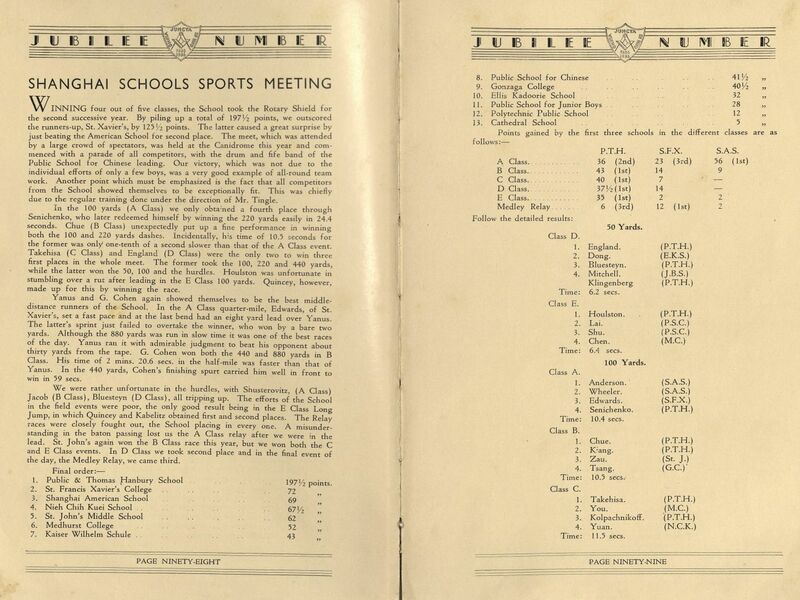 Wrestling, boxing, hockey, and many other sports were greatly enjoyed by the students and faculty. 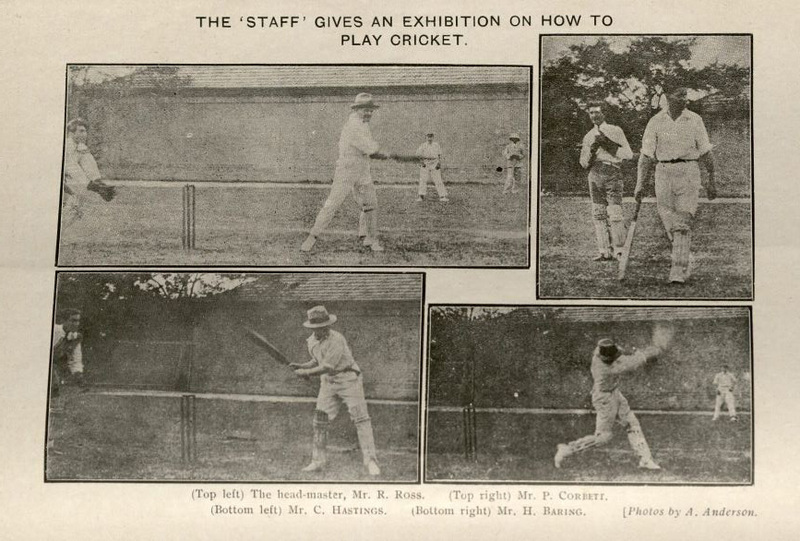 Being a British school, cricket was also a well-enjoyed game. Many sporting events like student-teacher matches and girls vs. boys matches united students in both the boys' and girls' school. Along with enjoying sports, students had access to a woodworking shop and greenhouses. 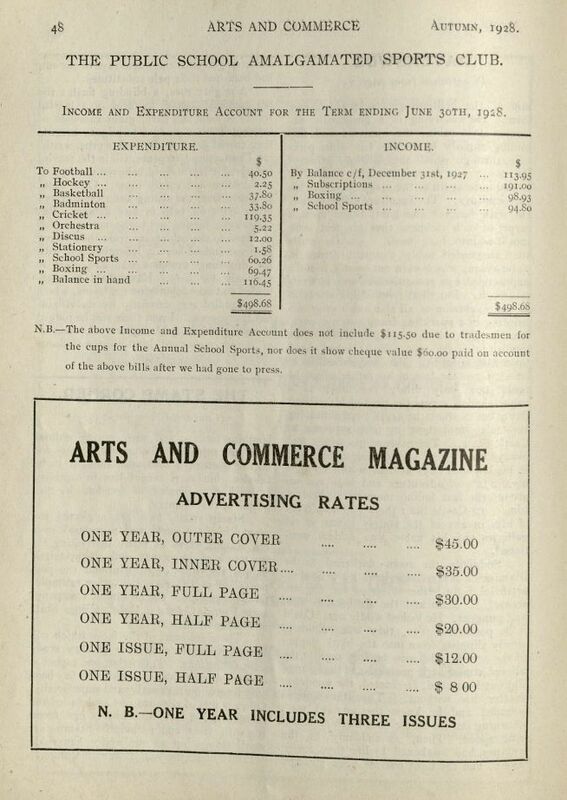 The school’s student publication, known as Arts and Commerce Magazine, provided great opportunities for local businesses to advertise their products. 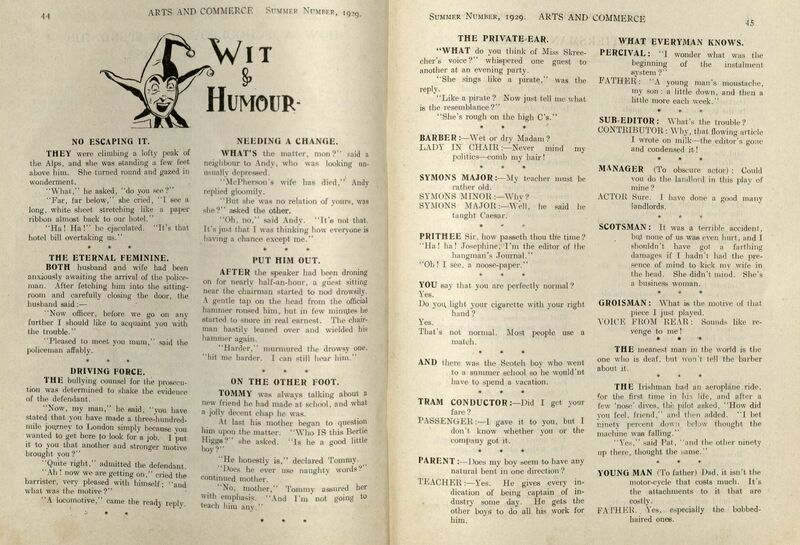 The Sydney and Ruth Jonah Collection includes five editions of the magazine published between 1928-1930. 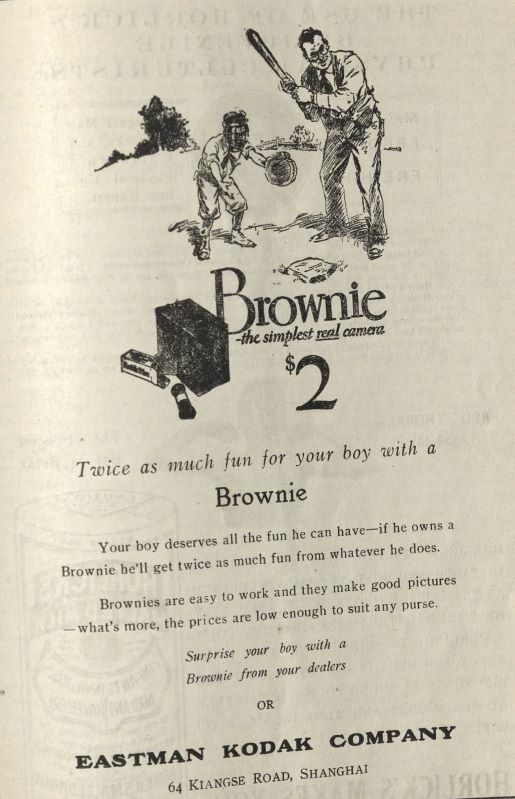 Many pages are filled with advertisements like Horlick’s Malted Milk, the Kodak Company's Brownie camera, Whiteway’s School Boy Clothing Department, and many more. 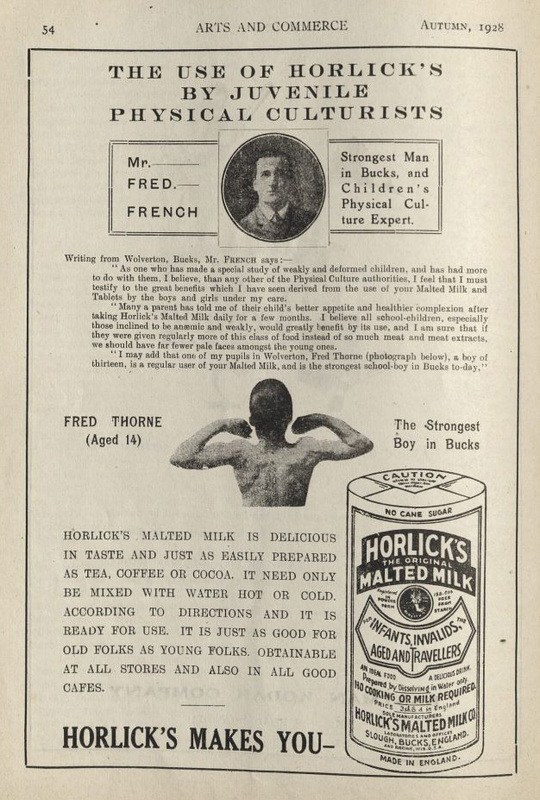 Since many affluent foreign families sent their children to Thomas Hanbury, the student magazine was the perfect place to spread the word about new products and services. 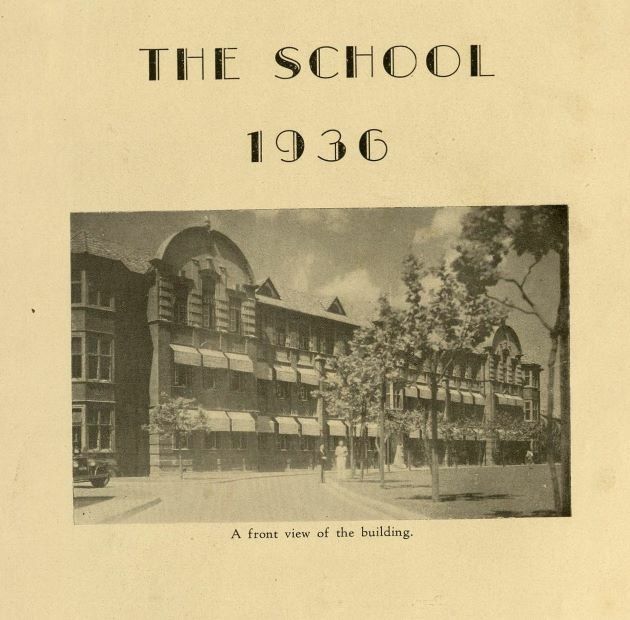 Whether through sports, education, or entertainment, the Thomas Hanbury School provided a well-rounded atmosphere for its students and faculty during an era of warfare and conflict, and was considered to be an exceptional educational institute that enriched the society of its time.